So I’m totally digging name art right now. It is easy to do, inexpensive and there are so many ideas on Pinterest! I made some back in October for a friend’s new baby and I’ve been using them as gifts ever since! This took me all of 10 minutes in Word and half of that time was figuring out the font and colours! The frame is clean and simple and was a $2 dollar store find. Love it! Too cute! What a great gift idea. Thanks so much! 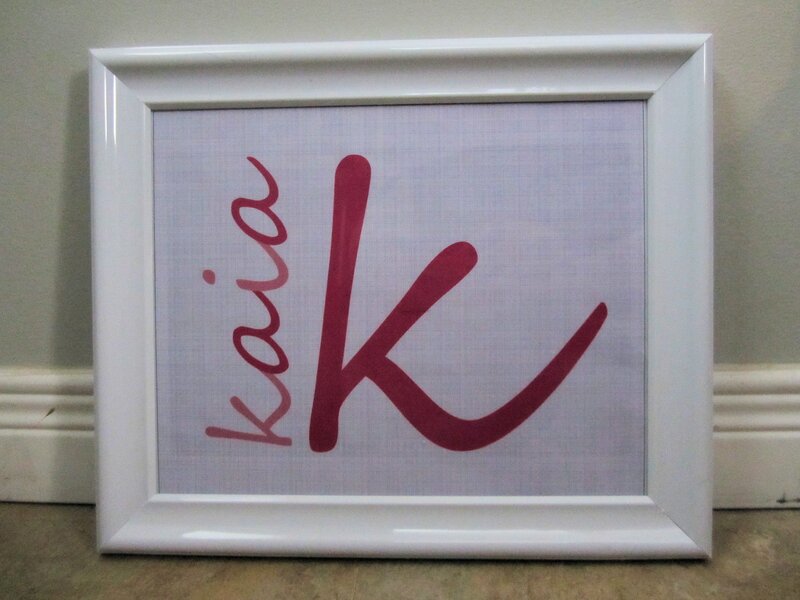 Great for a gift because it is personalized but it still so easy to make.